Ohhhh boy! I've been shopping. Yep, it happened. Not all at once, this is perhaps spread out over 2 months, but I got some really nice things and wanted to share them with you! First up we have a few foodie health bits which are all from Amazon. I've wanted to try nutritional yeast for so long now, but nowhere near me stocks it and believe me I looked everywhere. Amazon now have that annoying thing where you have to spend £20 to be able to buy certain items, the nutritional yeast included so I just HAD to buy a couple other items ;) The nutritional yeast though? Pleasantly surprised it comes in such a massive tub and actually, it's pretty tasty! 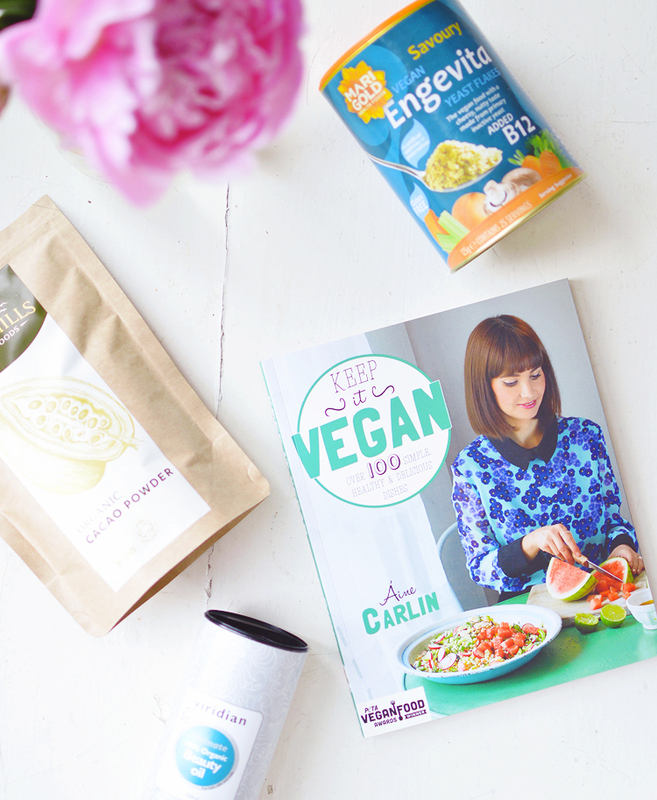 The Keep It Vegan cookbook by Aine Carlin. This had such good reviews and was only £4.99. I'm so glad I got this! It's a beautiful little book and there are a tonne of recipes that I'm really excited to make including; crusty no-knead carrot and courgette bread; pea and lemon risotto; breakfast brownie with a strawberry bottom and vegetable rosti with a smoky salsa. There is nothing fancy or overly complicated about the recipes, and it doesn't preach clean eating like a religion. I also added some cacao powder as I ran out months ago and have been missing baking anything with chocolate! So of course, the moment it arrived I was straight into the kitchen and baking some black bean brownies (a minimalist baker recipe) that were utterly heaven. I snapchatted the whole thing and was terrified of beans in my baking, but hello, I'll be making those again asap. I ate the whole batch to myself in 3 days. Finally I purchased the Viridian Beauty Oil to add to my smoothies. This is cheaper than their clear skin omega oil so I thought I would give it a go, it contains less flax oil and more hemp, but is still omega rich and good for getting those healthy fats in for your skin. Now onto the good stuff, a little beauty! Yes that is May Lindstrom, yes I did lose my mind and no I don't regret it. The Jasmine Garden is the most beautifully scented toner I've used so far, I'm going to end up using it up way too quickly because I go overboard with the spritzing just so I can breathe in the scent. Delish. If the scent thing worries you then I would suggest ordering the sample kit first! Then you get to try everything anyway, bonus! I ended up ordering the Couleur Caramel Green Concealer because I've been so interested in the idea of colour correcting! I have a lot of redness and blemishes to cover, so something neutralising is helpful to cover. I really like the thin and creamy formula of the concealer too, I may end up ordering a regular shade for my everyday concealing! I haven't bought any new makeup brushes in so long that it was quite a shock to find two new ones in my little collection! Luckily they're both fantastic and have been getting a lot of use. The first is a fancy little Zoeva number, the 231 Bamboo Petit Crease Brush, this is such a pretty brush with the gold detailing a bamboo handle and it's fantastic quality too, I really would like a few more so it's not lonely! ;) The other brush I bought is a cheap eBay one, because I just had to know what all the fuss was about for these funny oval shaped brushes! Well hype CONFIRMED! This is amazing. And it was a whopping £1.17. I've been using this for foundation and holy smokes it blends in 3 seconds flat and everything looks SO good! 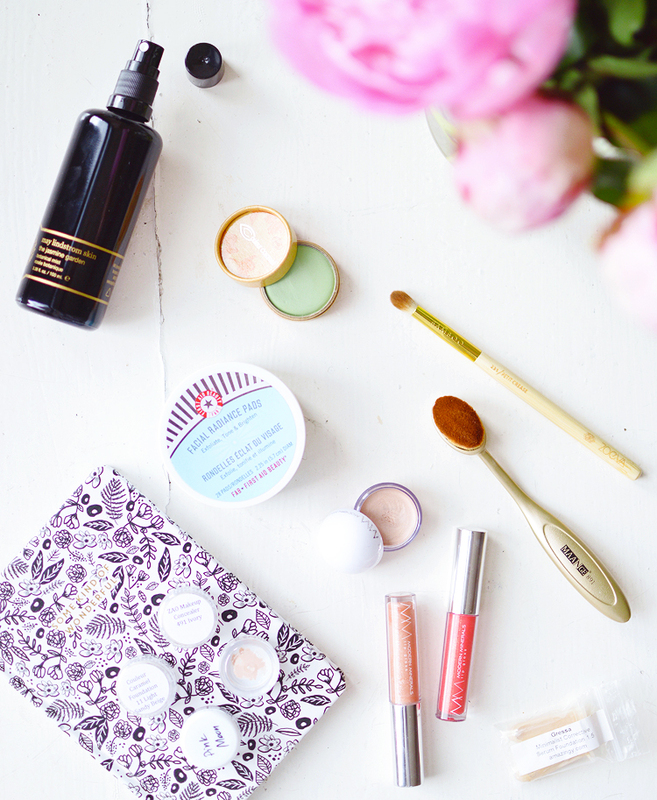 My June Beauty Heroes also arrived at the beginning of the month. This month was all about Modern Minerals makeup, a new to me brand. The box contained 4 full-size products worth $96 including 2 lip glosses, a mineral eyeshadow and cream highlighter. The highlighter is my favourite from the box for sure and was the only reason it wasn't a total dud for me (as I'm really not a fan of lipgloss). 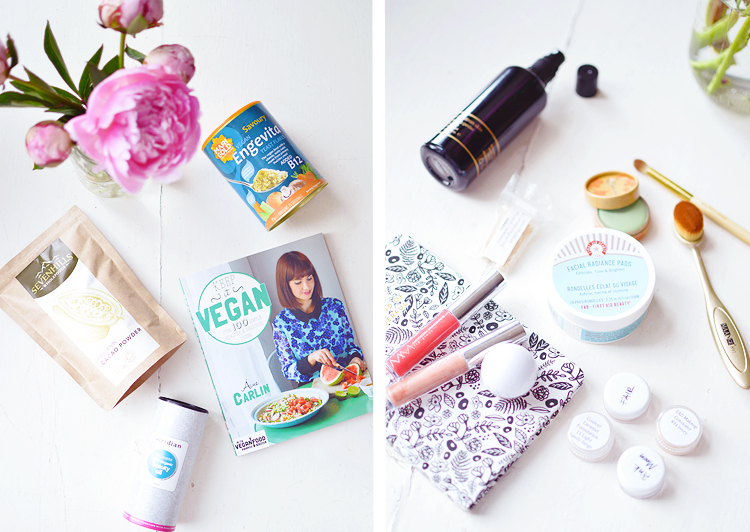 The next box though I *think* is going to be skincare! maybe even an SPF? That would be fab. Sign up here. I also repurchased the First Aid Beauty Facial Radiance Pads again. I should buy the larger pot but the smaller size is travel-friendly and I would hate for the pads to dry out before I used them all in the larger one. Finally, I ordered a lot of samples from various sites. I'm looking for a new foundation and have been at a loss of what to choose. From Content I ordered samples of the W3ll People Narcissist foundation stick in a different shade to what I have previously used, the new W3ll People concealer (love love love!) and the Jane Iredale Circle Delete. From Amazingy I ordered 2 samples each of the palest shades of the Gressa Minimalist Serum Foundation and they were SO generous, I still have 2 completely unopened (this is looking like the winner for shade and finish). I also ordered samples of Living Nature, Zao, and Couleur Caramel foundations from Glow Organic, but none were for me. So the quest continues!